I was very excited to learn that the annual Oquossoc Art and Crafy Show was happening while we are here. Usually I miss it, or find out about it at the end of the day when it is too late to go. 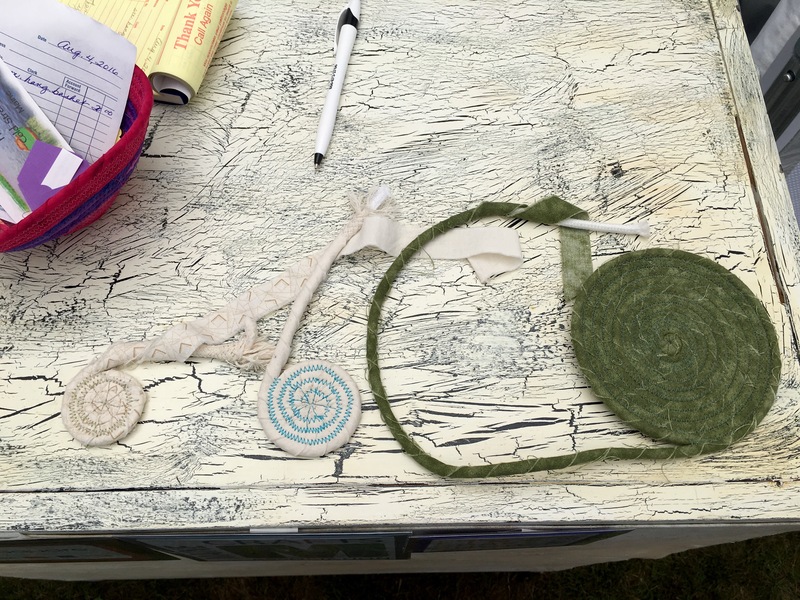 This year I went and was pleasantly surprised by the quality of artisans and craftspeople who participated. There were quilters, pottery makers, painters, woodworkers, jewelers, leatherists, photographers and more. The jury for the show did a great job as the items for sale were of a very high quality and well worth the prices the artisans were charging. I always gravitate to the quilters and other fiber artists, and this show was no exception. 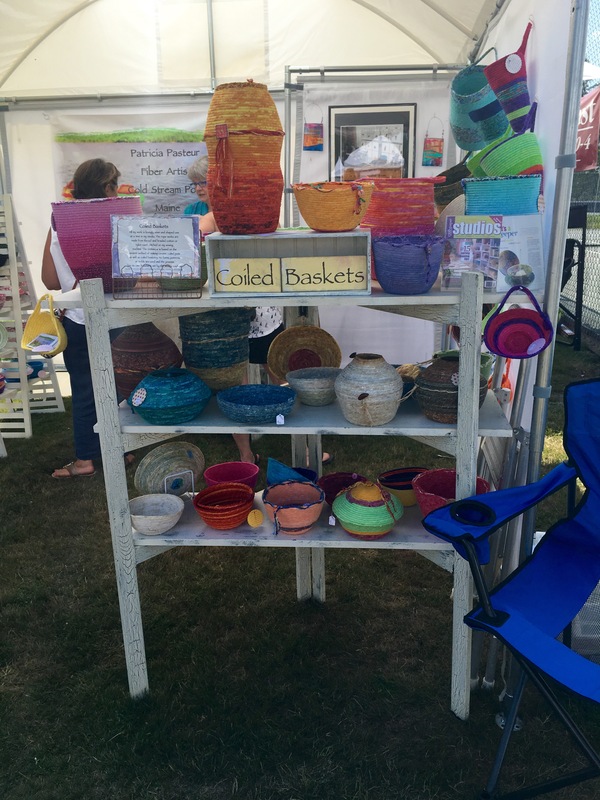 I was pleased to meet Patricia Pasteur from Cold Stream Pond, Maine who makes beautiful coiled baskets. 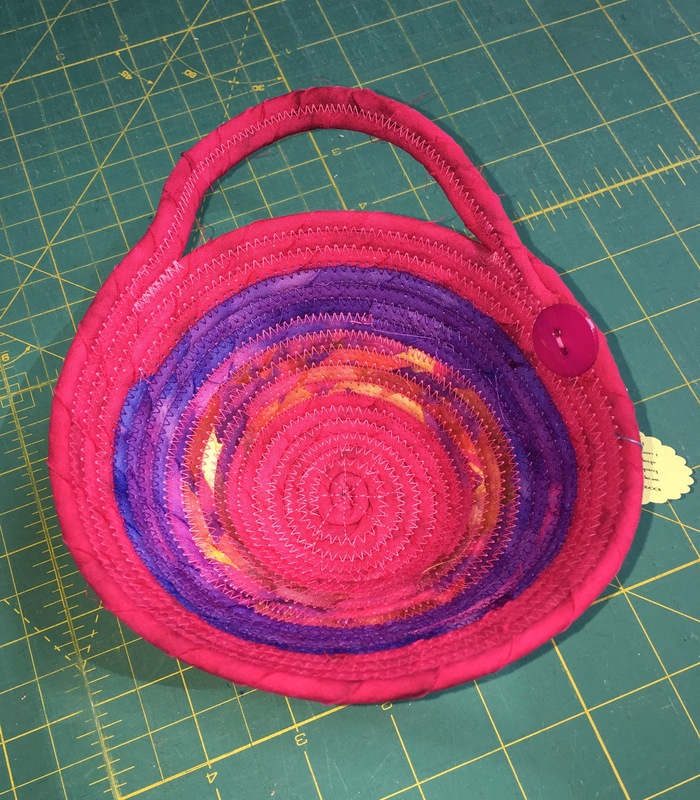 I bought this little basket to hang at my craft shows to hold my business cards. I liked the colors, but even more, I was curious as to how she made it. She was kind enough to let me take a photo and explain her process. 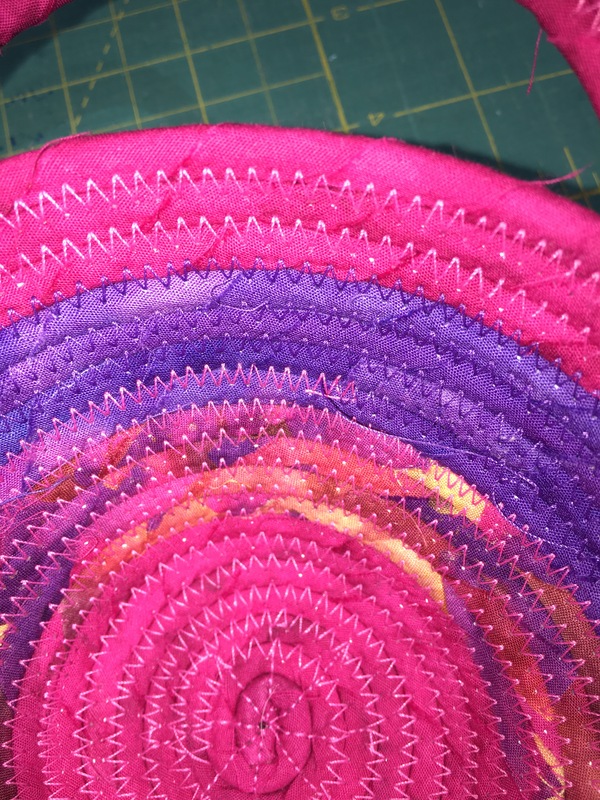 She doesn’t use molds or patterns so each basket is unique and shaped based on how she sews it. This is a very cool technique that yields great results. It surprised me how sturdy the baskets are. This would be a great project to use of scraps or selvages. You can see more of Pat’s work on her website, http://www.patpasteur.com. Gosh, thank you Erin for mentioning me in your blog. 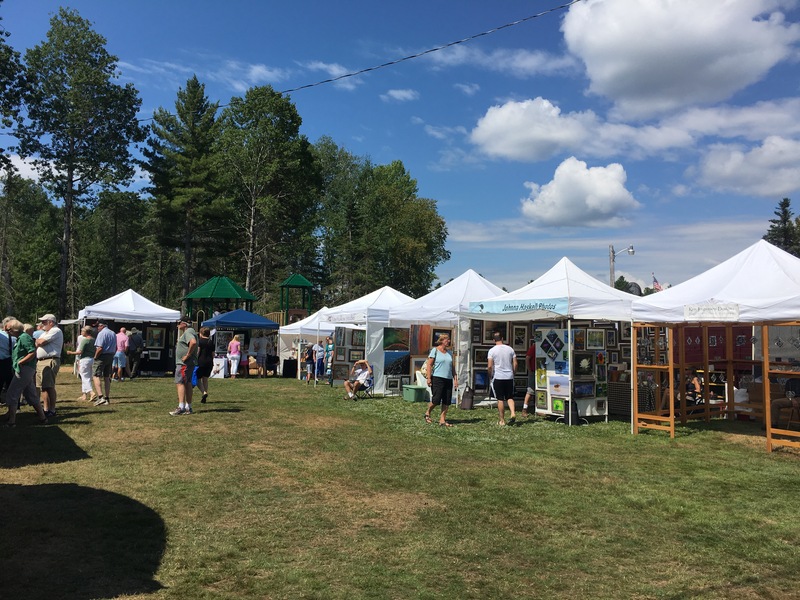 That was the first time I’ve done the Rangeley show. I plan on coming back to that beautiful town next year.